This delicious dish is a favorite in the South-Indian state of Kerala. 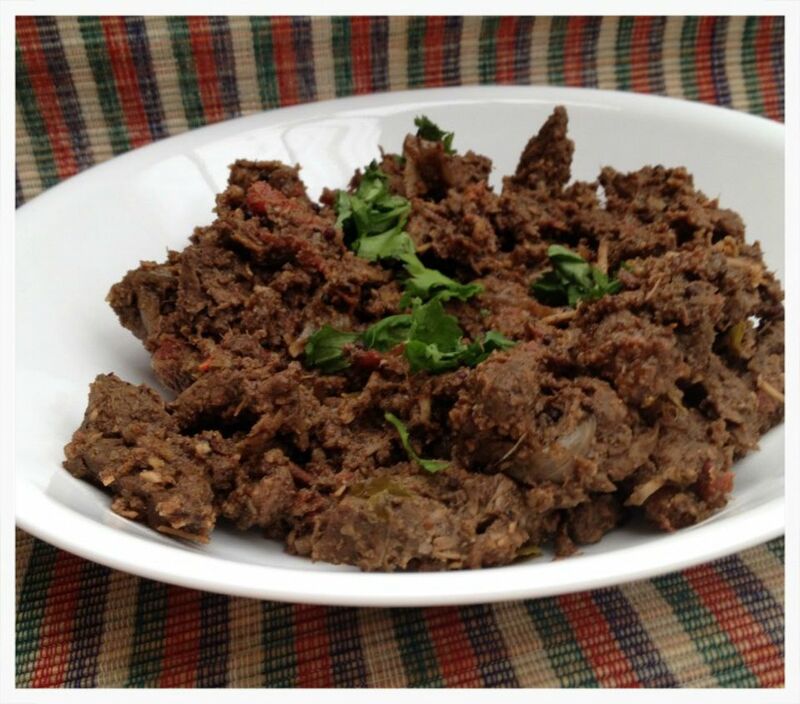 Kerala Beef Fry is served not just as a snack when friends visit, but also as a main course dish with Dosas, Idlis or Appams. Its spicy flavor can be as mild or as fiery as you'd like it to be. This makes it a perfect introductory dish for you or your friends into Indian cuisine. Heat a flat pan on a medium flame till hot. Reduce the flame to simmer. Put the fennel, coriander seeds, cloves, peppercorns, cardamom seeds and cinnamon on the pan. Roast, stirring often till the spices begin to get slightly darker and give off their aroma. Turn off fire. Allow to cool slightly. Grind the above roasted spices into a coarse powder in a clean, dry coffee grinder. Put the meat, sliced onions, green chilies, tomatoes, ginger and garlic pastes, and ground spices into a large mixing bowl. Mix well till all the meat is coated. Keep aside to marinate for an hour. After an hour, put the above mixture into a large deep vessel and set up to cook on a medium flame. Do not add any water as the meat will give off its own juices. Cook till the meat is tender. In a separate small pan, heat the cooking oil on a medium flame till hot and add the chopped onions to it. Fry till transparent. Add the curry leaves and mustard seeds and cook till they stop spluttering. Now add the coconut slivers. Cook till they begin to turn a pale golden color. Add this tempering mixture to the meat and mix well. Turn on the fire (medium flame) under the vessel containing the meat and cook, stirring often, till the meat browns. The whole dish should turn to a deep, dark brown in color. This dish traditionally has no gravy at all and is dry so if water is present, make sure to dry it off. Serve hot with Idlis, Dosas or Appams.